Profitable job shops make sure they meet their customers’ coating specifications. 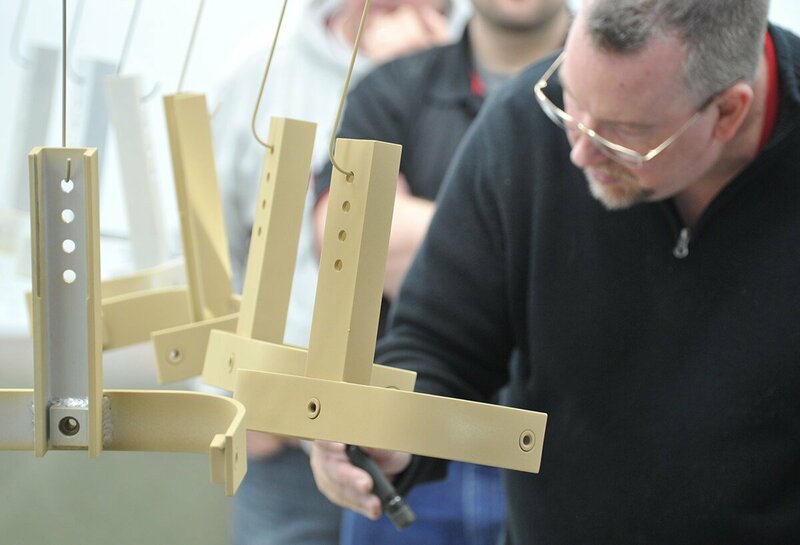 Successful manufacturers also perform rigorous testing to ensure that their powder coated products meet pre-set standards. 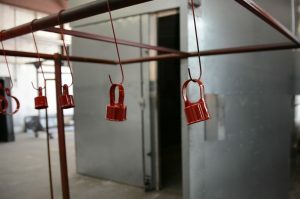 If you want to retain customers and expand your powder coating business, you need to focus on the quality of your work. The same attention to quality is critical if you want to keep an in-house coating department on the right track. Flexibility, color, gloss, adhesion, corrosion resistance, chemical resistance, durability, film thickness, proper curing and overall appearance are all things you can test for as part of a quality assurance program. Because proper quality control testing is so important to your success and reputation, we recommend these tests be performed daily, or at least once with every batch of products–and any time you change your coating products or processes. A film thickness test determines the thickness of the powder on the part once it’s been cured. This is generally confirmed with a Dry Film Thickness gauge. These gauges are fairly affordable and easy to use. A common range to look for is 2-3 dry mils (thousandths of an inch). A coating of 2-3 mils usually provides complete coverage of the powder over the metal. Remember: Make sure that if you powder coat both steel and aluminum, you purchase a gauge that will measure both ferrous and non-ferrous metals. If you are getting less than 2 mils, you are at risk of not providing full coverage on the product. If you are over 5-7 mils in a single coat, you could be wasting powder or causing surface appearance defects like “orange peel” or runs. In either case, adjustment of the powder coating application is needed. When we talk about “cure” in quality control, we’re talking about the correct temperature and dwell time that allows the powder to achieve it’s formulated hardness and chemical resistance properties. When testing for cure, you want to make sure that there aren’t any areas of overbake (where the powder has cured in a dry and brittle fashion) or underbake (where the powder has not completely cured). A cure test is easy to perform. 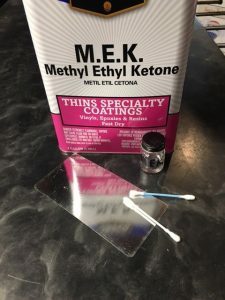 Proper curing is confirmed by rubbing a methyl ethyl ketone-soaked cotton swab lightly over a cured panel or part (in an inconspicuous area if the part is to be used if acceptable). 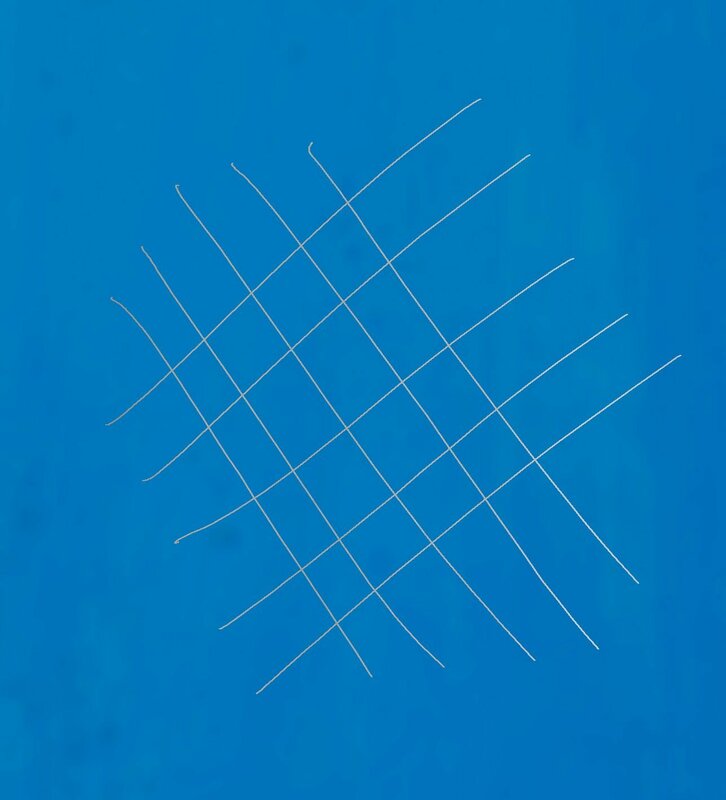 Application of 20 double rubs (back and forth over the same spot) is a common standard for checking cure, but you will usually see failure after about only three or four passes. If the finish deteriorates to the point that you expose bare metal, your cure is lacking or the powder is defective. If the coating softens but then recovers, you are fine. Some color may transfer to the cotton swab, but that is normal, especially with hybrid powder coatings. If your parts are failing their cure tests, temperature in the oven or dwell time in the oven may need to be increased. Be careful when adjusting your process not to overcure, as that can cause issues like adhesion failure; dulling of gloss; or yellowing and browning of the color, especially if you are coating white. Adhesion testing measures how well the powder sticks to the part once it is fully cured. As with the cure test, your adhesion test results can be affected by overbake or underbake.Generally, adhesion testing kits are available for specific testing requirements. You can perform a simple adhesion test on your powder coated products using some common tools you likely already have at your shop – but remember, the adhesion test is a destructive test. Do not do this on parts you want to use because this test will ruin the finish. 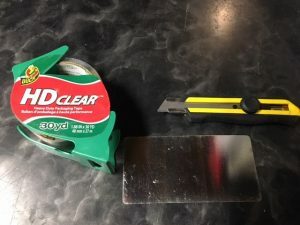 To perform the adhesion test, you will need some sticky clear tape and a utility knife. You will also want at least one test panel that you have already coated and cured.Make sure the part or test panel is clean and dry. Again, this is a destructive test, so make sure you test adhesion on a part you won’t mind throwing away or completely reworking. 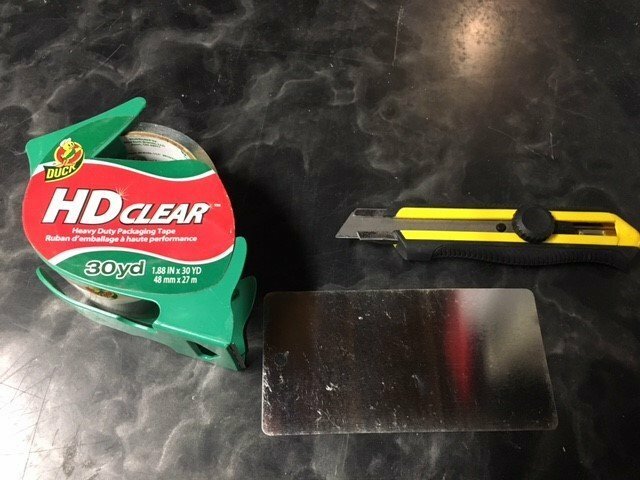 Next, using the utility knife, scribe a section of the part five times one way and then again 5 times perpendicular to the first scratches.This will give your part’s coating a grid-like appearance. Make sure you cut through the coating to the metal. After making the cuts, put a piece of tape over the grid and smooth out any air bubbles. 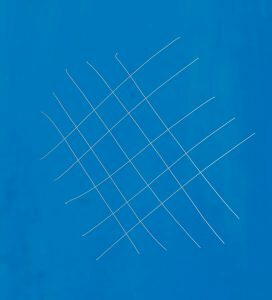 The tape should completely cover the grid. Pull the tape off aggressively and look at the tape and the part. An acceptable result will show only a little of the powder coming off from the grid cuts. If a square or two of coating is removed, adhesion can be suspect. If your coating comes off in a sheet, then you have adhesion failure. Adhesion failures can be caused by several factors. One of the first places to look is metal preparation. If the metal is too slick or oily, powder will not be able to stick to the surface. Make sure the substrate is clean and etched/abraded. Overcure can also cause the powder to become so brittle that it will easily pull away from the metal. Old powder may have issues that can cause lack of adhesion as well. Proper process evaluation will lead you to the cause of the failure. One of the advantages of powder coating is how good the finished product looks. All your products should be inspected before shipment to make sure that there aren’t gaps in coverage, bubbles, warping or poor coating application. If your quality assurance manager is actively looking for defects, problems with the powder or the product can be fixed before delivery. The second part of your appearance testing routine involves taking time to communicate with your customers. Every customer should have an idea of what he or she considers to be an acceptable finish, but it may take some discussion to determine what’s realistic and measurable. A finish standard can be as simple as no more than two visible surface imperfections per square foot. Or it can be no blisters or pinholes visible on the primary surfaces. Gloss and color standards may also be included. 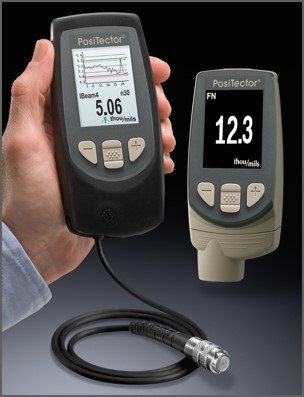 If a customer has very precise requirements, we recommend investing in a gloss meter/color eye (spectrophotometer or similar) to make certain the customer receives exactly what they expect. Appearance issues can be caused by many factors. Contamination is usually the biggest problem. Shop dirt, welding debris, sanding dust or other airborne contaminants can get on the parts. These substances can cause the powder to react negatively or simply fail to cover the contamination. Proper cleaning and pretreatment can address these issues. Unfortunately, improper cleaning contributes to many appearance issues. Ignoring rust or residue can prove costly in the long run. The use of poorly mixed or overly-diluted chemicals, the application of inappropriate detergents, and other pretreatment shortcomings related to carelessness can also cause significant finish problems. Sometimes water in compressed air lines or high humidity in the shop environment can cause powder to clump and generate unwanted appearance issues. Evaluating your process by eliminating one variable at a time is crucial for discovering what’s causing the issue. Generally speaking, the four basic tests discussed in this article should be included in any powder finishing process. Other periodic laboratory tests may be needed. These include salt-spray, UV exposure, QUV, taber abrasion testing, etc. Most of the lab testing can be done by your powder supplier. Be sure to communicate fully with your customer, as well as your powder media and pretreatment chemistry suppliers, to clarify what testing is required and what standards the finished parts must meet. Need Help Getting Your Line Back Into Shape? Reliant Finishing Systems manufactures all types of powder coating equipment and offers a wide variety of repair and troubleshooting services for the powder coating industry. Need equipment? Reliant builds blasting enclosures, gas and electric ovens for parts drying and powder curing, environmental rooms, powder application booths, spray walls, multi-stage parts washers, and manual wash stations. 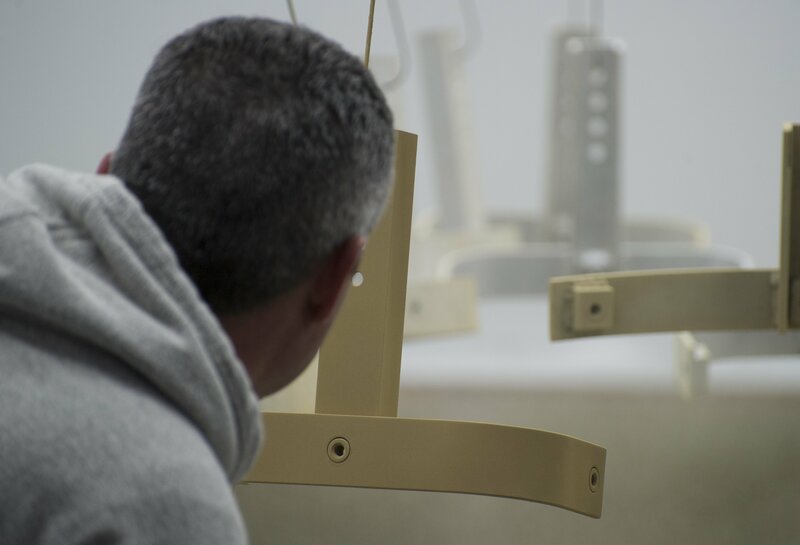 Our systems specialists have years of experience with the design and installation of powder coating lines of all sizes. If you already have equipment in place, Reliant can help. 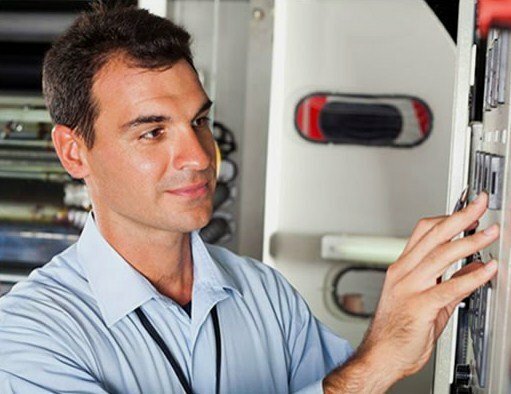 Whether you need a line audit to help you increase throughput or simply need to run a Datapaq to diagnose possible hot spots in your oven, our team of experienced technicians can help. Give us a call today. This entry was posted in News on November 16, 2016 by Bruce Chirrey.